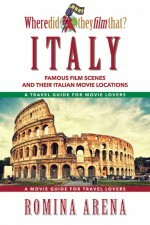 A Cultural Cornucopia of Romance and Beauty! Adult coloring books are taking the publishing world by storm—or perhaps it would be better to say, by a calming wave. As a meditative refuge from the modern world of constant overstimulation, 24/7 activity schedules, and incessantly blinking and beeping electronic devices, coloring books are giving adults a new way to relax, explore their creative sides, and focus their minds. Every woman needs a room of her own, a meditative space where the bustle of the outside world can be forgotten. Every coloring book fan who loves a touch of feminine glamour and elegance can find their own private place in the enchanting world of Boudoir Coloring Book. 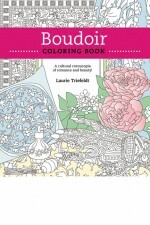 Designed by renowned artist Laurie Triefeldt, Boudoir Coloring Book offers hours of creative absorption in a personal world of calmness and beauty. These intricate images of elegant ladies, vanity tables, perfume, make up, and flowers will transport colorists to a place of rest and relaxation. Boudoir Coloring Book is especially designed to provide a high-quality coloring experience. Thick, high-quality paper, printed on only one side, gives a smooth, firm coloring surface with no bleed-through, and perforated pages let colorists share and preserve their creative work. A calming private place far from stress, Boudoir Coloring Book gives colorists their own personal world. About the Illustrator: Laurie Triefeldt was born and educated in Toronto, Canada. She is a graduate of the Ontario College of Art and the University of Windsor. Triefeldt is the creator of World of Wonder, the award-winning syndicated weekly illustrated newspaper feature exploring the educational themes of history, science, nature and technology, appearing in more than 100 newspapers worldwide. Triefeldt is also the author and illustrator of World of Wonder: Plants and Animals, World of Wonder: People and Places, and Elegant Tea Party Coloring Book, all available from Quill Driver Books. You’re Invited … Relax and Enjoy! Adult coloring books are taking the publishing world by storm—or perhaps it would be better to say, by a calming wave. As a meditative refuge from the modern world of constant overstimulation, 24/7 activity schedules, and incessantly blinking and beeping electronic devices, coloring books are giving adults a new way to relax, explore their creative sides, and focus their minds. Coloring book fans are invited to ease their tensions and invigorate their creativity in the immersive world of Elegant Tea Party Coloring Book. Hand-drawn by acclaimed artist Laurie Triefeldt, these 70 absorbing illustrations of cups, saucers, teapots, muffins, and flowers will give colorists hours of calming focus. Triefeldt’s illustrations range from intricate geometric patterns on fine bone china to fluid, organic shapes of floral prints, cut flowers, and even a kitten in a tea cup. These complex images offer colorists endless opportunities to create personalized works of art through use of color and shade. And the tea party theme adds a special touch of civilized comfort and relaxation that immediately calms a busy mind. Elegant Tea Party Coloring Book is especially designed to provide a high-quality coloring experience, using thick paper, printed only on one side, to offer a smooth, firm coloring surface with no bleed through. 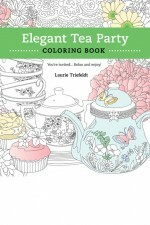 Like a rich cup of tea, Elegant Tea Party Coloring Book is a relaxing and stimulating break in one’s busy day. Audience: Adult coloring book fans. Boudoir Coloring Book, all available from Quill Driver Books. 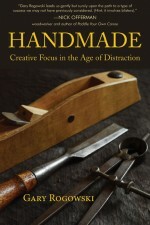 new way to relax, explore their creative sides, and focus their minds. 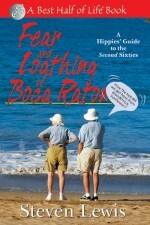 In today’s world of constant motion and distraction, we all yearn for a return to the calming world of nature. Coloring book fans will love taking a restorative excursion into the organic world of Crystal Meadows Coloring Book. Colorists will lose themselves for hours in these intricate, otherworldly images of plants, flowers, and trees. Designed by Lithuanian artist Sigita Alekne, the images in Crystal Meadows Coloring Book reflect Alekne’s unabashed love of nature and living things. Crystal Meadows Coloring Book is especially designed to provide a high-quality coloring experience. Thick,high-quality paper, printed on only one side, gives a smooth, firm coloring surface with no bleed-through, and perforated pages let colorists share and preserve their creative work. 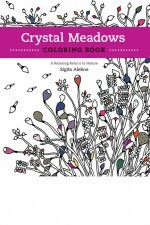 Like a cool walk into a primeval forest, Crystal Meadows Coloring Book will calm your restless spirit and refocus your artistic mind. About the Illustrator: Sigita Alekne was born in 1985 in Telsiai in northwest Lithuania. Raised in the countryside, Alekne grew up close to nature and has always been fascinated by the beauty and calmness of the natural world. Alekne graduated in 2011 with a master’s degree in human rights from the law school of Mykolas Romeris University and has worked for the Lithuanian national LGBT rights organization, one of the oldest human rights organizations established in Lithuania since its independence from the Soviet Union. 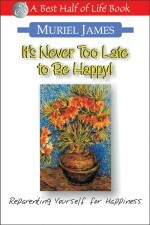 For the last five years, she has dedicated herself to her artistic work. Alekne is married and lives in Vilnius. Boudoir Coloring Book is especially designed to provide a high-quality coloring experience. Thick, high-quality paper, printed on only one side, gives a smooth, firm coloring surface with no bleed-through, and perforated pages let colorists share and preserve their creative work. A calming private place far from stress, Boudoir Coloring Book gives colorists their own personal world. 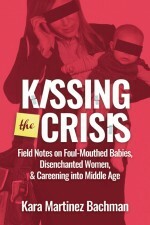 Available for Pre-Order Now. 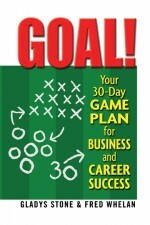 Will ship upon publication. Gear Up to Break the Coloring Mold! Put your artistic mind in gear for a stimulating and invigorating coloring Experience in Industrial Strength Coloring Book. 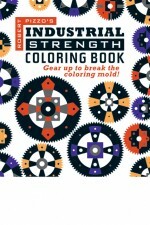 Designed by top-ranked commercial illustrator Robert Pizzo, Industrial Strength Coloring Book will immerse you in a modern world of industry, factory, tools, and machinery. Intricate, mandala-like images of gears, sawblades, assembly lines, loading docks, and other industrial installations will give you hours of intense calming focus. Designed for a superior coloring experience, Industrial Strength Coloring Book features thick, high-quality paper, printed on only one side, gives you a smooth, firm coloring surface with no bleed-through, and perforated pages let your share and preserve your creative work. The perfect coloring book for busy minds that love activity and purpose, Industrial Strength Coloring Book will efficiently increase your production of fun! About the Illustrator: Robert Pizzo is a graphic designer whose clients have included The Wall Street Journal, Newsweek, Verizon, Coke, Pepsi, and Macy’s. He has won awards from PRINT, SND, GRAPHIS, HOW, DESI, AR100, SPD. Someone at Adweek called him “The Most Un-Neurotic Artist I’ve Ever Met.” Pizzo lives in southwestern Connecticut with his wife and daughter. Striking out on your own after a lifetime of living with your parents is equal parts exhilarating and intimidating, but most of all, it is awkward. There is so much that people expect you to know that no one ever bothered to tell you before – stuff you actually need to know to avoid bankrupting yourself through overspending, poisoning yourself with bad cooking, or drowning in a rising tide of dirty dishes and unwashed laundry. You don’t have to learn all this the hard way. 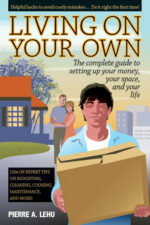 Living On Your Own: The Complete Guide to Setting Up Your Money, Your Space, and Your Life is the cheat sheet to help you take your first steps into adulthood with confidence. Living On Your Own is a completely practical guide to starting out as an independent adult, with hundreds of useful tips to help young people set up a new household. Whether you’re moving into a college dorm or into post-college life, Living On Your Own gives you money-, time-, and trouble-saving recommendations, shortcuts, and lifehacks to make your transition smoother. 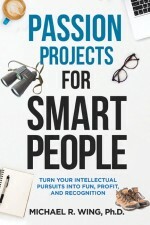 This readable and comprehensive reference gives answers to all of the decisions, dilemmas, and questions that invariably arise when setting up on your own. Looking for a place to live? Living On Your Own will show you how to cope with roommates and landlords, find a safe neighborhood, deal with moving expenses, and more. Worried about your finances? Learn all about budgeting, mastering your credit score, saving for retirement, preventing identity theft, and other money topics. Covering everything from the basic budgeting, to home cooking on the cheap, to how to find an eco-friendly detergent, to staying healthy without insurance, to how to not catch an STD, Living On Your Own is an invaluable road map to early adulthood. Not Fit for a Dog! reveals what really goes into modern manufactured cat and dog food — and offers concerned pet owners a nutritionally sound alternative. 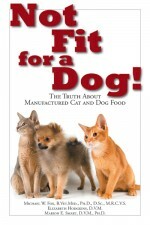 In Not Fit for a Dog!, three distinguished veterinarians share their expertise to provide an in-depth appraisal of the pet food industry and its products, and their findings will appall pet owners, animal care providers and anyone who cares about animal welfare. Not Fit for a Dog! shows you a better way to take care of your pets — a wholesome, natural diet made from real food, including easy-to-prepare recipes for pet foods and treats made from organic ingredients that will keep your pet healthy and satisfy his or her natural appetites. Comprehensive information about pet nutrition and raw foods options will help readers customize foods to their pets’ individual needs. Combining science, social concern and compassion, Not Fit for a Dog! is both an indictment of a reckless industry and a plan for a healthier way of life for both pets and humans. 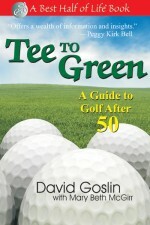 Unlike many books on golf, this book is a description and analysis of what it is like to learn to play the game later in life, written from the perspective of recent learner, David Goslin who took up golf at 65, in collaboration with Ladies Professional Golf Association (LPGA) Master Teaching Professional, Mary Beth McGirr. 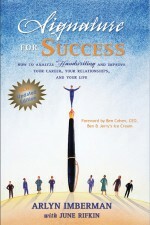 A sociologist by training, Goslin has spent 40 years studying the process by which individuals learn new skills. 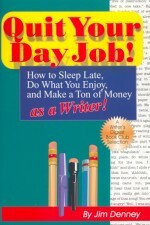 How to Sleep Late, Do What You Enjoy, and Make a Ton of Money as a Writer! 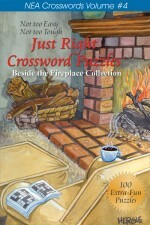 We are out of stock of all four volumes of the Just Right Crossword Puzzles. 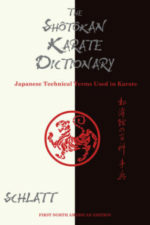 They are now Out of Print and unavailable from Quill Driver Books. No new volumes are planned at this time. The crosswords found in your newspaper are written and provided by NEA (Newspaper Enterprise Association or UClick). Their website is located at http://www.universaluclick.com/puzzles/neacrosswordpuzzle . 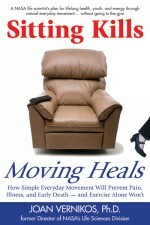 Quill Driver Books and Linden Publishing are no longer affiliated with the Just Right Crosswords in any way. 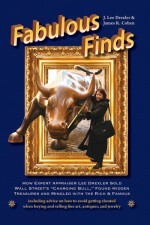 How to Find Health, Happiness and Creative Energy Through a Worldwide Treasure Hunt! Geocaching is a global treasure hunt that has exploded in popularity in recent years with the proliferation of inexpensive global positioning system devices. Geocaches are treasure troves that are hidden and found by geocaching hobbyists, who share their experiences on websites. Millions of people have become geocachers in the last three or four years, finding it to be an ideal way to make new friends, improve health and vitality and reconnect with the outdoors. 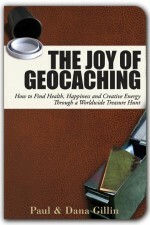 To the growing ranks of enthusiasts, geocaching is more than just a game.